The patent-pending manufacturing process enables golf shafts to be made with exceptional accuracy. In addition, it produces fiber placement in a highly uniform way around the shaft. This method creates a spineless shaft and overcomes the inconsistencies sometimes seen in shafts produced by the more-traditional table rolling methods. Rather, TPT shafts provide exceptional feel, leading to tighter shot dispersion, low spin and increased distance. TPT Golf has a team of dedicated experts who are working on building shafts for Tour players. Shaft flex is an important part of the design of the club. Therefore, getting your clubs fit for your swing can make a huge difference in overall performance. Biomechanical specialist Jean-Jacques Rivet has been instrumental in developing this new range and validating performance. He’s also been a huge influence in developing a custom shaft-fitting process that allows the company to offer fully customized shafts. Combining TPT Golf, JJ Rivet and David Leadbetter – all experts in their own field – means that shafts are being looked at in a whole new way. Therefore, for the first time ever, a shaft can be designed that starts with the physical capabilities of the human body. From there, it goes on to reflect the coaching being received in practice. 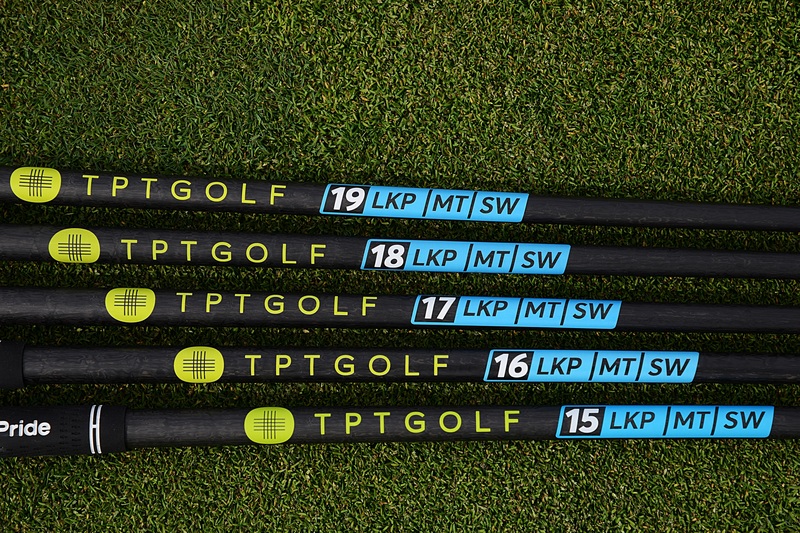 TPT can now provide the best-performing products for Tour pros and amateurs alike. Moreover, this is a consistent and precise product for the shaft marketplace. The range of TPT Golf shafts has been designed to hopefully simplify the shaft fitting process. Thus, there should be models to suit players with any swing speed. TPT Golf is the golf division of North Thin Ply Technology (NTPT). This is a Swiss-based technology and composites company that works on solutions for high-performance industries. The company’s portfolio includes developing a process for producing America’s Cup yacht sails. As well, they work on lightweight bodywork of F1 race cars, skis and snowboards. Also, it created the materials technology found in satellites and luxury composite watches (Richard Mille). Have you used one of these TPT Golf Shafts? We’d love to know what you think, so leave us a comment below or drop us a line on Twitter!